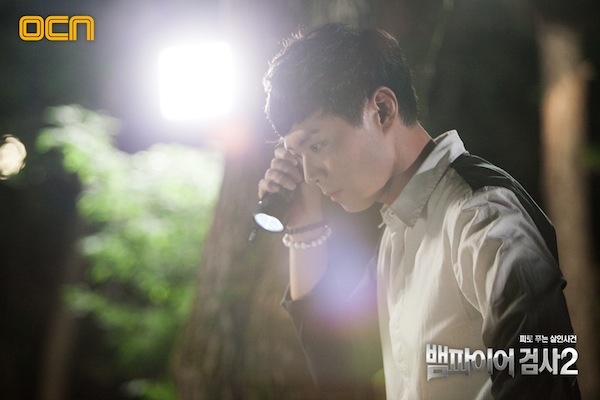 "Vampire Prosecutor 2" takes over the OCN Sun 23:00 time slot previously occupied by "Quiz from God 3". Korean company CJ E&M and Japanese company Amuse each invested approximately $4.4 million USD into producing the drama series. In ep.8, Kim Hyun-Suk, Yoo Hyung-Gwan, Yoon Seo-Hyun, Jung Ji-Soon & Im Seo-Yeon from tvN drama series "Rude Miss Young-Ae" appear as their characters from that drama series. su Dec 27 2018 11:29 pm I hope we get to see season 3 and I also hope that OCN gets on their feet in making season 3 as when things are incomplete it gives people diarrhoea and I hope to get answers of the many questions that were left unanswered in s2. I hope to see s3 soon. for some reason the powers that be decided to drop this and let us hang out here to dry..
JUST FINISH THE FRE@%$@KING STORY ALREADY!!!! dido Oct 05 2017 2:29 am great..hoping for a season 3..please, please..
tim Jul 06 2017 10:29 pm what's up with the cliffhanger. i'm in need of season 3, too many unanswered questions, who's the bad blood. OCN always do this type of cliffhanging ending, they need to finished what they started. there is no need to add anything more to the character, he's perfect, the only thing they need to do is to finish the story. Arlovebird Mar 09 2017 10:06 pm @Lina Yeon Jeong-Hun didn't sign the contract for a 3rd season. He stated that he feels like he can't add anything more to the character so he doesn't feel he would do the drama justice, in other words, there will be no season 3 because he rejected the contract to act in the 3rd season. I personally think his reason is bullsh*t, and even if it isn't, think of the fans, they want another season. The fans made him popular so he should continue for them, but that's sadly not the way Yeon Jeong-Hun thinks, so season 3 is not gonna happen. I'm really upset too because so much was happening, relationships were progressing, secrets were being revealed, season 2 ended in an awesome cliffhanger way, but no, because he doesn't want to I have to suffer with never being able to see how one of my favorite k-dramas end. chryst Jan 14 2017 10:16 am @vampire girl, the answer of your questions is on VP season 3, if it would be there. Dee May 20 2016 4:17 am The Chief Prosecutor in VP2 is one of the worst kind of boss and human being. dani May 19 2016 6:52 pm If there is a Vampire Prosecutor 3, please, please remove Lee Young-Ah! She is one person who is not fit to be a prosecutor! Her judgement is base on her emotions and jealousy. She would have put innocent people in jail if it is not for Prosecutor Min. Noorhan May 06 2016 1:55 pm please make season 3 for this drama, we all have a hope that season 3 will come out this year and we are still waiting for it! we have been waiting so long please make season 3. KC May 06 2016 8:01 am What??!!!!! No season 3? I've been waiting soooooooooooooo long. I'm really mad now!!!!!!! vampire girl Apr 22 2016 5:04 am hello there to all the vampire prosecutor fans. I have to ask some questions about the vampire prosecutor series to you. it is more likely a survey and is very very important for me. if there is the 3rd season of vampire prosecutor what do expect from the story to happen. 1) will Prosecutor Yoo Jung-In survive or will become a vampire? 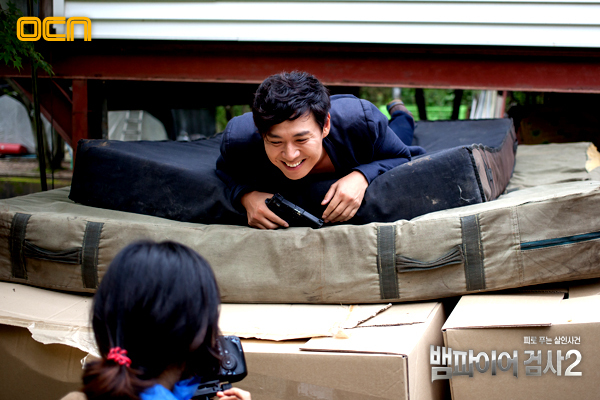 2) where is Prosecutor Min Tae-Yeon as it was shown in the last premiere that he's been kidnapped? 3) what happened to that bad blood or that red eyed vampire ? alive or dead? 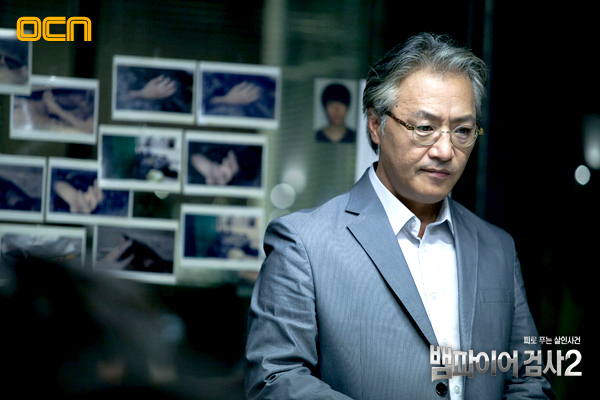 4) where is Prosecutor Min Tae-Yeon's sister as the bad blood is keeping her ? 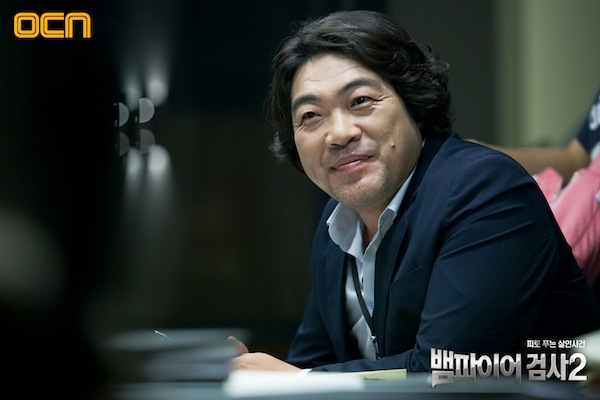 5) if Prosecutor Yoo Jung-In is alive, will there be some chemistry between them? kay Apr 07 2016 10:24 am Vampire detective is not as good as this. Still waiting for VP3. Please make it true, don't be so mean to all the fans who waiting for so long! Also, still hoping for Special Team Affairs Ten seasson 3. Please OCN! Ace Lee Mar 18 2016 6:39 am It was sad when OCN announced that there won't be VP3. Have been waiting for years for that! *sobsobsob* The spin-off (Vampire Detective) is premiering somewhere in this month. Let's if it's as good as VP, if not better. Bovie Mar 17 2016 3:01 am I'v been waiting for season 3 like forever! kpopkitty Feb 20 2016 1:18 pm There is no plan to make a season 3, but there is a plan for a 'spin-off' series. I'm not sure that will placate us all, but hey, at least it's better than nothing, right? khul Aug 18 2015 8:12 pm please make season 3 for this drama I've been waiting for so long...please...season 3!!! Ugliest Jun 13 2015 1:29 am season 3, please..
ongsy Feb 26 2015 11:37 pm Please have season 3! Nana Nov 04 2014 11:01 pm i found something that might be some sort of a bad news for all of us. Also the official said “We will continue to discuss on how we’re going to proceed with the production of ‘Vampire Prosecutor 3′ but at the moment we don’t know specifically when is the time that we’re going to produce it for certain.”"
Nonetheless, i still need explanations from the previous 2 seasons of VP. the ending is just..
Diệp Vũ Oct 06 2014 9:52 am I am a Vietnam and I love this movie. not only me but also many other Vietnam movie lovers. 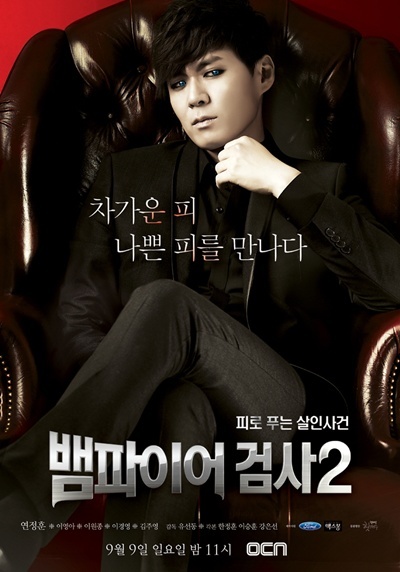 I hope that the crew will continue for the part 3 of the movie "Vampire Prosecutor". I love Min Tae Yeon and Yoo Jung In, 2 beautiful double !! Markus Sep 13 2014 10:27 am Any news 'bout Season 3? We'r waitin' still, hmm... 2 years already? Daneth Apr 22 2014 2:44 am M waiting for season 3. Season 2 left me with many questions. 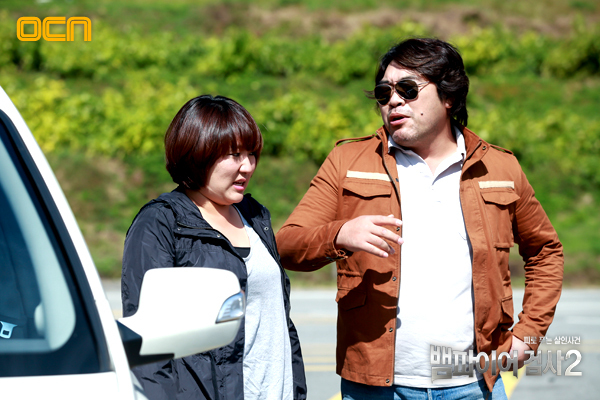 Oh, congrat prosecutor Min on good news-father to be. Good luck and come back with a new season pls. Paulene jamie Feb 27 2014 4:00 am it's already 2014... When will season 3 be release/aired? marj Feb 26 2014 2:42 am WTF!!!!!!!!!!!!!!!! season 3 plsssss ......i want to know what happen to Prosecutor Yoo booooo..
Lee Feb 02 2014 3:11 am i like kim byung soo director better T_T i don't know, you can feel the bitter, the action, and the finishing better with kim byung soo direction. hope he will do the season 3. but the actor and actress is still great. whimsy Feb 01 2014 9:27 am Seen the OCN 2014 line up and VP3 isn't included. There's going to be a spin off though, and the promo images for The Vampire shows two eye images, a female looking red one and a blue one which looks to be Min's. I'm hoping female one's Jung In's. joanne Jan 26 2014 8:57 pm What is goin onnnnnn..... why dont they tell us if there is a season 3??????????? I mean the ending of season 2 surely states "to be continued" .... it s getting me on my nerves they are not even sayin that there wont be..... are they even reading the comments? kdramaholic Jan 03 2014 2:49 pm When will season 3 be coming out? Anyone know? Nandini Dec 25 2013 3:46 pm It was awesome!! Please!! I demand a third season!! *on my knees* puhtagiyeyo! jebal! wisa Nov 17 2013 12:40 am I just finished season 2. Please Please....let there be a season 3!!! if not this year at least next year. I hope they can keep all the same main characters. I want to see more romance between tae yeon and in jung. Prosecutor Oct 26 2013 5:06 am im hoping that yoo jung in turn into a vampire in season 3! OMG and im sooo curious about the "real" Bad blood.cant wait no longer.hope there is some developments for our 2 prosecutor's romance in the third season. Syndy Sep 26 2013 4:25 pm Waiting for season "3"
kim Jun 04 2013 2:31 pm there isnt a lot of shows that's not from the US that gets to me but this show is just wow. Most vampire show is soo easy to guess how it will end but with this show it's not,i love this show an wish there is a season3. i hope love bloom in this for min and yoo mostly he deserve it to feel a bit more human even if he's not also it would work out with them after all yoo grew up with a father like that she sure as hell can love a vampire that don't kill to live. eza marvin Apr 09 2013 8:16 am please proceed again prosecutor vampire season 3 I've not spread how the continuation min and the prosecutor whether to fight bad blood or even making friends and like where the Jang Chul-Oh did live longer and sister Min Tae-Yeon I wait ..
Lestibournes Feb 15 2013 12:04 am The most obvious candidate for being the bad blood is the minister who was almost assasinated but was saved by being turned into a vampire, as we've seen in the flashbacks at the beginning. He killed about 15 within minutes of being turned. Being a politician, there's a high probablity, though not certainty, that he was corrupt long before he was a vampire. He could be one of the lowest scumbags that ever lived and the chief prosecutor's boss for all we know, or someone even in the national government. Dewi Sitompoel Dec 19 2012 7:44 am I was finished watching this drama.. Daebak!! I was waiting how the ending after i watched Season 1.. And it will be more?? Season 3?? I be waiting.. :) I love this drama!! Not like korean drama usually.. The unexpected story line.. The actors and actresses was great acting too.. And now i wonder how the rest of the story line would be?? Would Min found his sister?? 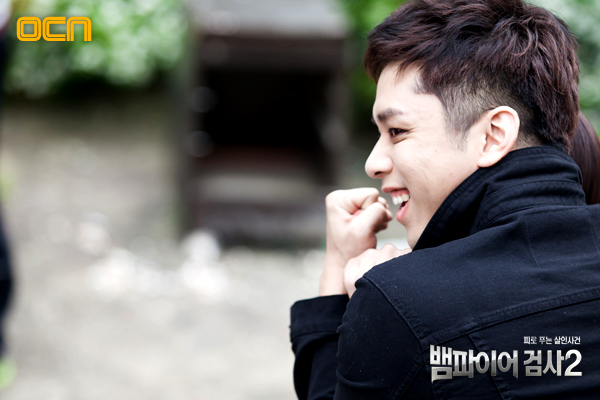 Jung In should be the vampire too?? And could they be a couple?? But all of that, the biggest question are who is the bad blood?? Tenshi Nov 21 2012 5:48 pm Sou do Brasil, difícil achar noticias sobre esse drama... por favor me digam que vai ter a 3ª temporada, muito ansiosa. Se tiver alguém tem alguma dica de quando vai lançar?? Haider Nov 20 2012 12:35 pm I Will season 3 .... Please I love this drama ... I hope Will be there season 3 soon. jeg Nov 20 2012 5:40 am When will season 3 will show? Faith Nov 04 2012 9:01 pm Been waiting for season 2 , for what feels like ages-- AND it is amazing!! so worth the wait. Now I am up to episode 9 of season 2 ( out of 11 episodes) and I am freakin' out-- HOW CAN THERE ONLY BE 11 EPISODES... I NEED A SEASON 3!!!! 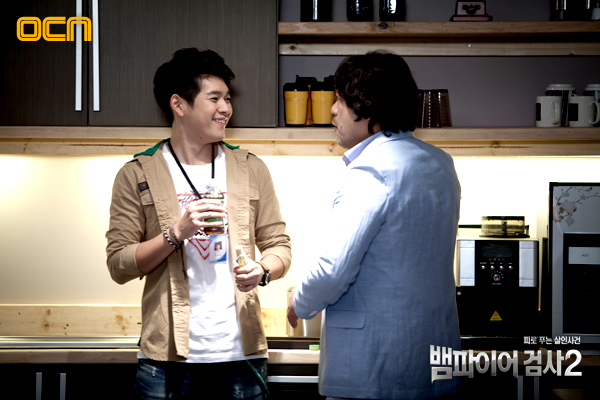 M Oct 16 2012 12:36 pm Hope Vampire Prosecutor 3 will come Out too!!!!! gara Oct 01 2012 1:00 am i had seen too many CSIs. Had watched too many vampire movies. But this Korean drama is interesting. It was not careless. Well written. Not outrageous. It knew its place. I thought i wouldn't be able to appreciate asian vampires considering, there are no vampires in Asia only in America and Europe (having blue eyes as vampire). Still, it does not assume a place that is ambitious. Great job. kimdaebi Sep 12 2012 9:11 pm I think there is no sequel. I love the story of solving a case like this, can't he fall in love with Yoo Jung In? tere Aug 19 2012 7:47 am wanna see it!! i love this drama so much..